Connect MB SD C4 mux with W211 and laptop. 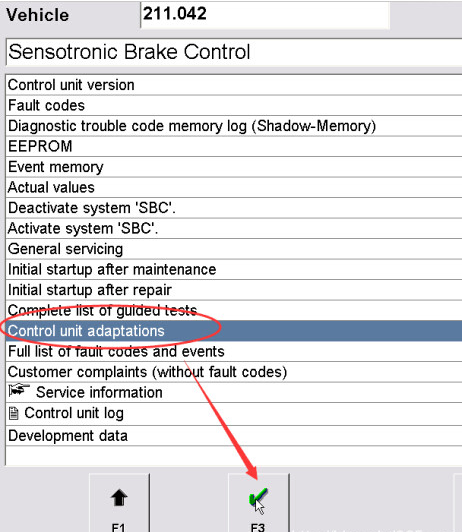 Select Control unit adaptions, and click on the tick button to continue. 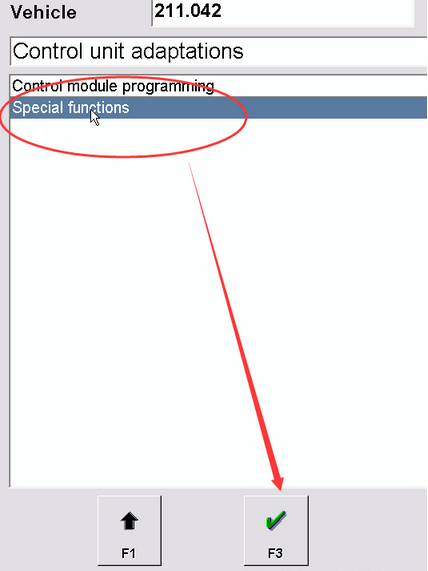 Select Special functions and click on the tick button to continue. Set a password as you like, then to continue. Follow the instruction on the screen to reset SBC brake. then 1 line down there you see Bremsenzahler aktualisieren und Lebensdauerzahler F neu berechenen –> click it ! Resetting break counter to zero is in my opinion, not messing with …..